Habinteg Community Assistants Alison Cameron and Margaret Cunningham were among a group entertaining a very special guest at a Big Lunch Day of Friendship in Belfast on 21 May. 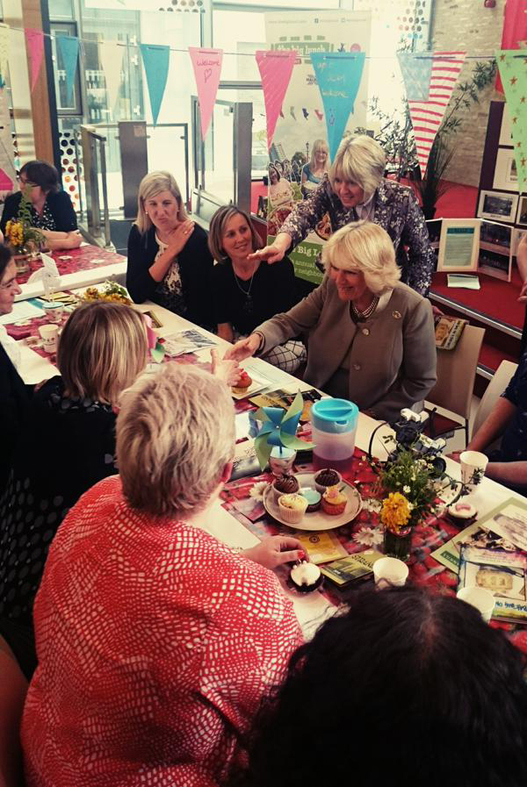 Patron of The Big Lunch, Her Royal Highness, The Duchess of Cornwall, joined with Community Champions from across Northern Ireland to share company and discuss community projects. The event was held at the Skainos Centre on the Newtownards Road, which helped demonstrate the events that cross interfaces in Northern Ireland.